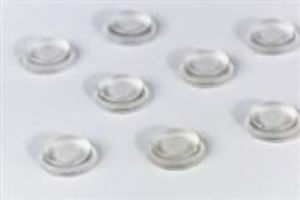 These clear bumper buttons are Clear Polyurethane and will prevent damage to shelves and other surfaces. Adhesive backed buttons attach to the bottom of displays easily. Sold by 100 per case.